ca 117x117cm, Ösen in den Ecken für leichtes aufhängen! Yes, it is true. 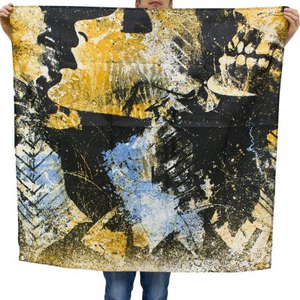 You can now own your very own Converge Flag! Hang it up in your room, out in front of your house, or finally have a clean bed sheet? Which ever way you choose to display your flag, you can rest assure it will be in style! These are printed on 46×46 INCH (ca. 117cm) nylon material that is hemmed and has grommets in the corners for easy hanging on the wall or a flagpole.